This product is delivered as a download and is usually supplied within 1 working day. Once this product is emailed and activated, it cannot be returned. Please check your system requirements before ordering this product. 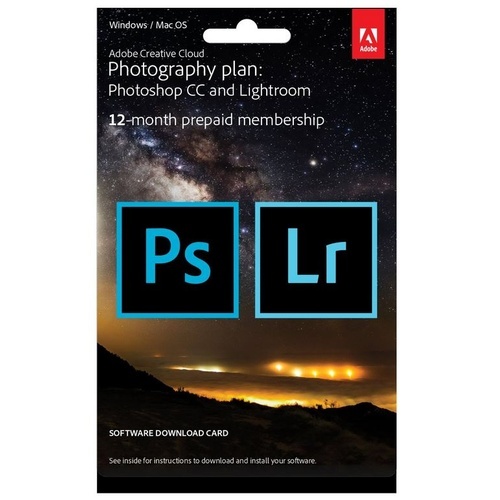 Take your best shot and make it even better with the Adobe Creative Cloud Photography plan, which gives you all the essential tools - including Adobe Photoshop Lightroom and Photoshop - to organise, edit and share your photos across desktop, web and mobile devices. It's all your photography. All in one plan. The power to transform your photography anywhere. Your photos dont always capture the scene the way you remember it. 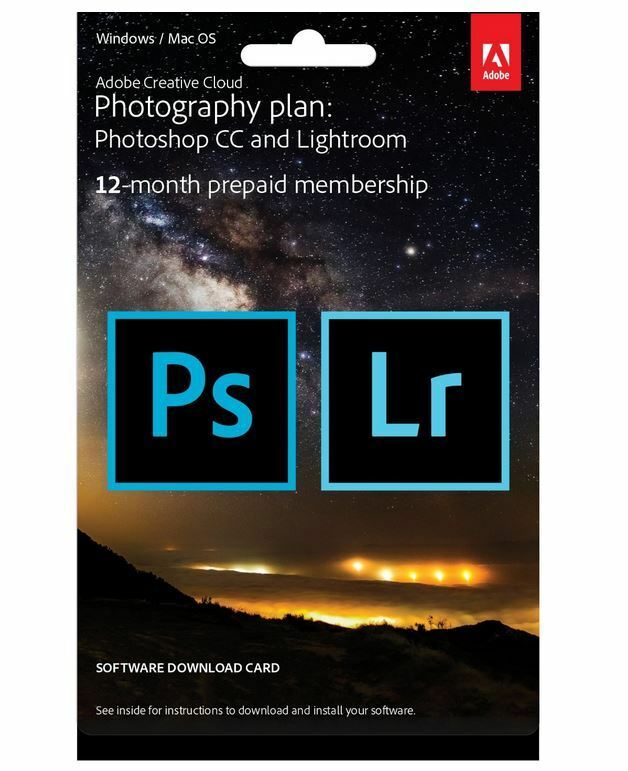 But with the Creative Cloud Photography plan, you have everything you need to bring out the best in your images, from everyday edits to total transformations. Edit and enhance on your computer and devices even cut out and combine photos on your iPad with Photoshop Mix. All your changes stay in sync, so you can enjoy your photos anywhere. And with tutorials for every skill level, you'll learn new tricks fast. Your photography is everywhere you are. You take a camera everywhere you go. Why not take all your photos and photography apps, too? With the Creative Cloud Photography plan, you can organise, edit and share your photographs from anywhere on your computer, on the web, on your iPad and on your iPhone or Android device. Syncing takes care of itself, so when you make an edit or flag a favourite in one place, its automatically updated everywhere else. Your photos tell a story. Share yours. Its easy to showcase what matters most to you. All your photos from your camera phone to your DSLR are automatically synced to Lightroom. From there, you can organise images in web galleries or share them on your favorite social sites. And with mobile apps like Adobe Voice and Adobe Slate, you can craft visual stories and animated videos. Creative Cloud desktop applications can be downloaded and installed on multiple computers, regardless of operating system. However, activation is limited to two machines per individual associate with the membership.